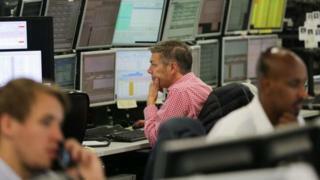 Mining shares kept the FTSE 100 buoyant on Monday after a strike in Chile boosted copper prices. Anglo American was the top gainer on the index, notching up a 4.2% rise, while Rio Tinto and Glencore followed close behind in the winners' list. Copper prices are higher following a strike at the world's largest copper mine in Escondida, Chile. At the close, the benchmark FTSE 100 share index was up 20.17 points or 0.28% on the day at 7,278.92.
Business services firm Capita was the biggest loser, shedding 2.4%. The pound was 0.08% higher against the dollar at $1.2499 and up 0.47% against the euro at 1.1793 euros.